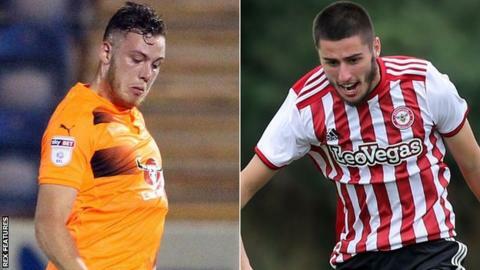 Swindon Town have signed Reading’s Scotland Under-20 forward Ben House and Brentford defender Canice Carroll on loan until the end of the season. House, 19, has scored 11 goals in 19 games for Reading’s Under 23s but has yet to make a first-team appearance. Carroll, also 19, joined the Bees from Oxford United in the summer and has also yet to feature in the first team. He did make 16 League One appearances for Oxford, having made his debut in 2015 aged 16 in the EFL Trophy.